We thank you for your interest in becoming a member of the Club. 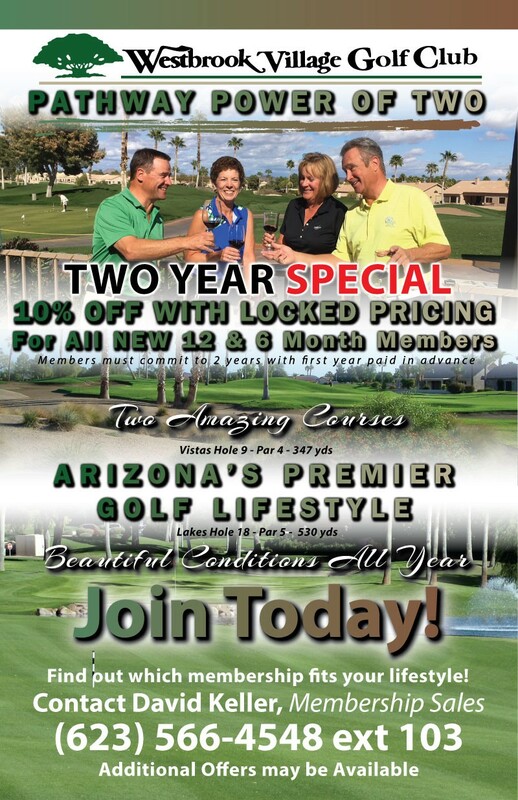 Westbrook Village Golf Club provides a great golf experience at an amazing value – it is the best in the West Valley! Contact names and numbers for you to learn about our TWO NEW MEMBERSHIP INCENTIVES! You do not have to live in Westbrook Village to become a member of our golf community! Take advantage TODAY and learn how you can get free summer golf, waived Initiation Fees, and discounts for the 2018 Golf Season! 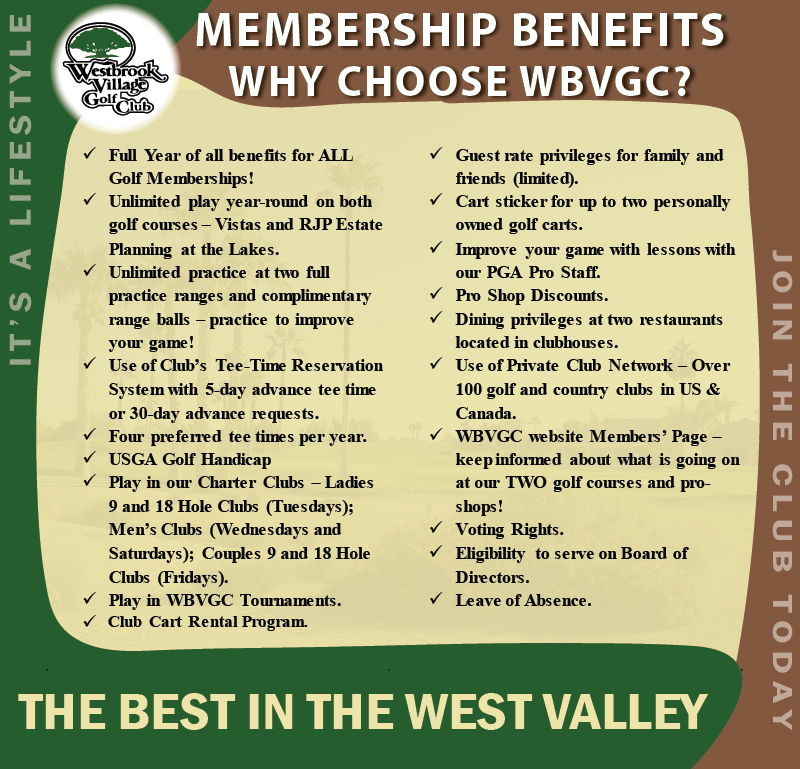 There are many reasons why being a Golf Member of WBVGC is so worthwhile: The ease in getting games and making friends; two fabulous 18-hole golf courses maintained in superb condition; Member Leagues; Tournaments; Socializing; Dining; Friendly Staff; and of course unlimited golf! We value and appreciate each of our Golf Members as they are the owners of this amazing club. Choose the Golf Membership Category that fits your lifestyle! Year-Round golf? Snowbird golf? Peak Season Renter golf? Weekend/Holiday Golf? Below is a summary of each Category available with your Golf Membership! The New Monthly Category will be available October 2018! There are TWO SPECIALS happening right now for YOU to become a member. 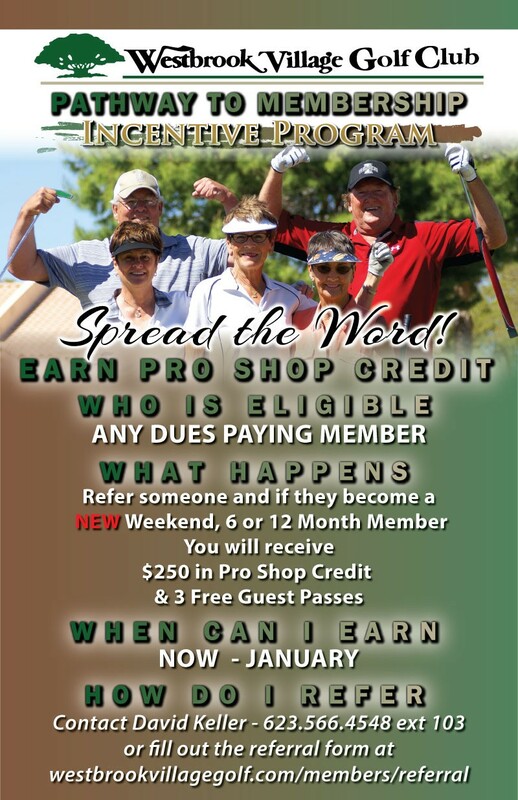 Both specials waive the Initiation Fee – a $2000 savings. Call or Email our team today, ask about our free summer of membership, and learn more about becoming a member at the best club in the West Valley!